What a neat idea....using plastic buckets for bowls at a pool party. I love it. Its been awhile since I was on here blogging. Last year I was doing that 365 day thing where I posted something everyday. I started it again this year even though I thought I should not.... should have went with my heart on this one for I failed! Not getting 365 days out of me this year. My family suffered a loss this past week. 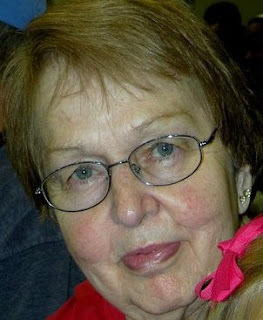 On August 16, 2011 my aunt Carolyn past from this earth to the heaven above. An I must say Heaven gained a new angel that day. My aunt was healthy for a 72 year old woman that raised three children and was married to her husband for 53 years. She was healthy except for the mind robbing alzheimers that had started to eat at her slowly. She had her good days and she had her bad. But on the 16th she went in her sleep from a heart attack. She went without pain, she just past quietly away. There is nothing good about losing someone but like her daughter said, she left us before the alzheimers had the chance to rob her of her memory anymore then it did. of days....hope to see you back then.